The St Endellion Festivals Trust is a registered charity aiming to bringing top quality classical music to North Cornwall, as well as to give young musicians the opportunity to learn from and perform alongside household names. 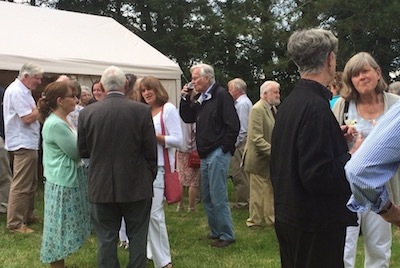 It is also a partner of its sister charity Endelienta, which provides a year-round programme of events on the St Endellion campus and in the local area. Our hope is that each festival will break even financially. The costs involved – in performance rights, music and instrument hire as well as in accommodating and feeding our performers and volunteers – are tremendous, and are not covered by the cost of ticket sales alone. Our financial stability is therefore in great part due to the constant support of our Friends, who are vital to us. Festival Friends receive twice yearly mailings and priority booking, an annual newsletter, plus invitations to Friends’ social events with the opportunity to meet performers and organisers. We hope that you will also enjoy the sense of becoming a supportive and cherished part of our wider Festival family and the knowledge that your generous contribution is key to ensuring the Festivals’ security and future development.